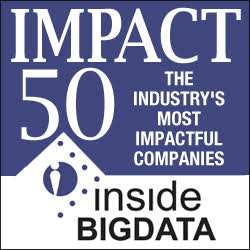 The team here at insideBIGDATA is deeply entrenched in the big data ecosystem of companies from around the globe. We’re in close contact with a great many of the firms making waves in the technology areas of big data, data science, machine learning, AI and deep learning. Our in-box is filled each day with new announcements, commentaries, and insights about what’s driving the success of our industry so we’re in a unique position for publish our quarterly IMPACT 50 List of the most important movers and shakers in our industry. These companies have proven their relevance by they way they’re impacting the enterprise through leading edge products and services. We’re happy to publish this evolving list of the industry’s most impactful companies! The selected companies come from our massive data set of vendors and industry metrics (yes, we use machine learning to analyze the industry in a detailed manner to determine a ranking for this list), so if you’re part of a company that you feel is “impactful” in some critical way please contact us immediately to be added to our database and considered for this list. Companies on the list should exhibit technology leadership, strength of offering, proven innovation, positivity of message, quality perception in the enterprise, intensity and frequency of social media buzz, high profile of members of the C-suite, and in the case of public companies: positive financial indicators and stock price, and so much more! Contributed by Daniel D. Gutierrez, Managing Editor and Resident Data Scientist of insideBIGDATA. In addition to being a tech journalist, Daniel also is a practicing data scientist, author, educator and sits on a number of advisory boards for various start-up companies. An easy fix would be to replace us with Turi from your list (Danny is a good friend), as they were acquired by Apple in August 2016. Thanks for this tip about Logical Clocks AB. The company is not current in our data set, but we’ll research into the firm! How did Turi make it on the list? In future versions of this list will you include more information on the logic in the ranking? Turi on this list doesn’t make sense to me as Apple owns all of their relevant tools and graphlab is pretty long in the tooth. At the time, GraphLab turned Dato turned Turi (named for Alan Turing) was a high-flyer having been led by a Univ. 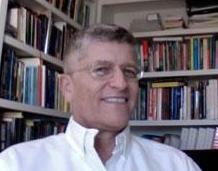 Washington professor and having received plenty of venture funding. Surprised to not see Talend on that list. With their native code generation for spark both on-premise and in the cloud I would have thought they would be up there. Eitan, thank you for your note. SparkBeyond looks like a very compelling company. It was not in our industry database, but it is now!